Three members of the Austin Alumni Association traveled to Arlington, Texas, to participate in the annual training convention July 24 – 27, 2013, for Citizen Police Academy (CPA) members and law enforcement personnel throughout Texas. The convention draws hundreds of attendees from both large and small cities and towns to participate in educational sessions to learn new techniques and processes, share ideas, and get suggestions on how to strengthen and enhance citizen and law enforcement programs and agencies. Convention attendees were welcomed by the Mayor and Police Chief of the City of Arlington and enjoyed the many learning opportunities provided. Melinda Rodriguez, Dee Mickelson, and Susan Reed represented the Austin CPAAA and participated in varied sessions as Electronic Crimes Cyber-based Attacks, First Responder to a Crisis Situation, Texas Weapons Law, the Dallas Terrorist Bombing Incident, Solving a Murder, Active Shooter, Stranger Danger Adult Style, 501(c)(3) Operation, and Racial Profiling. In addition, one of the most valuable sessions attended was the CPA Roundtable where topic tables were facilitated by CPA Coordinators from around Texas to provide specific information on successful activities / programs and to encourage the exchange of ideas and experiences among Alumni members. Among the topics were Meeting Topics and Speakers, Community Projects, and Fund Raisers. The final session, “Chiefs’ Round Table,” was held on July 27, and included police chiefs and sheriffs from about eight communities in the North Texas area who addressed how they support and manage many of the activities, initiatives, and programs that are conducted by their CPA and Citizens On Patrol (COP) organizations. Recurring comments from the law enforcement officials regarding their CPA / COP programs were (1) the high degree of ability and talent available in their volunteers and utilizing these individuals in many ways throughout their departments; and (2) using CPA / COP programs to help law enforcement agencies be a part of the community rather than a segregated para-military organization separated from the citizens. The 2014 Texas CPAAA Convention will be held in San Marcos. Members of the Austin CPAAA are encouraged to attend. Chief Acevedo unveiled the latest addition to the APD Air Unit: a Eurocopter AS350 B3e. 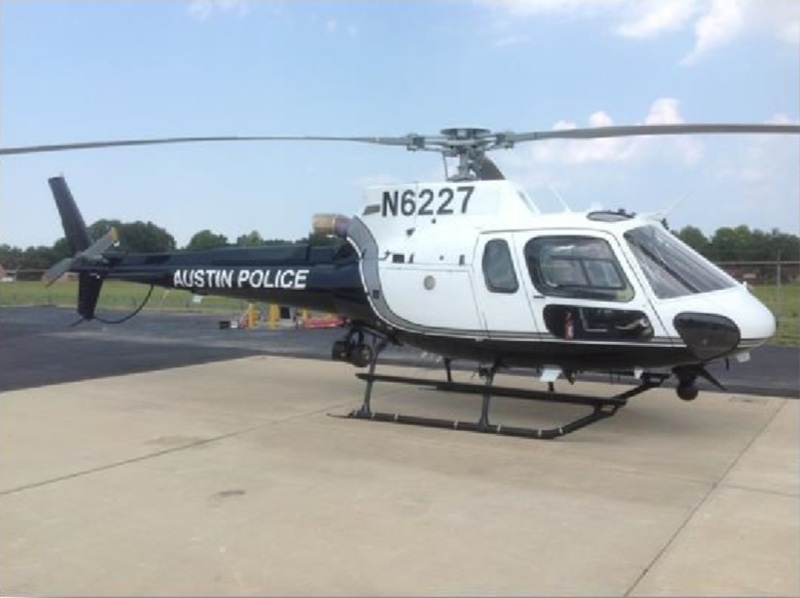 This is the third helicopter to be used by the Austin Police Department. The AS350 B3e includes a number of compelling features and technologies that will benefit the department, including ergonomic cockpit, low vibration levels (ideal for equipment), and law-enforcement specific equipment. The model is also known for its high maneuverability and suitability for high-speed pursuits. October 1st, 2013 marks the 30th anniversary of National Night Out! First, there is free a Kick-Off Party from 5 P.M. to 7 P.M. at Barton Creek Square Mall, in the North Downtown Overlook Parking Lot. 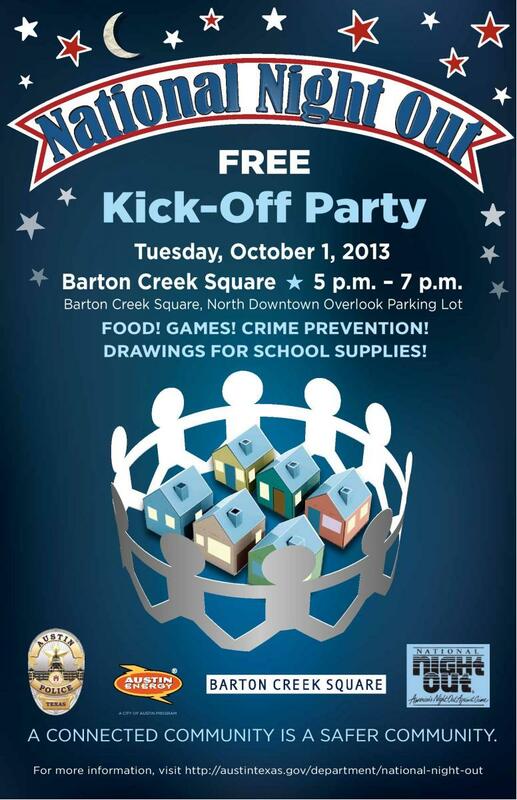 There will be food, games, crime prevention tips, and drawings for school supplies. All are invited to participate! From 7 P.M. to 9 P.M., events such as cookouts, block parties and neighborhood walks will occur simultaneously throughout the City of Austin and nationwide. Citizens are asked to turn on their porch lights, lock their doors and spend the evening outside with their neighbors, City Council Members, police officers, firefighters, EMS paramedics and Code Compliance. · Promote crime and drug prevention awareness. · Generate support and participation in crime prevention efforts. · Strengthen neighborhood spirit and police/community relations. · Get involved in your neighborhood community. · Let criminals know that neighborhoods are organized and residents are fighting back. If you would like for you neighborhood to participate, neighborhood applications are due September 13, 2013 at 5 P.M. Applications can be found here or can be e-mailed, faxed or sent in the mail upon request by calling 512-974-4900. Visit APD’s main site listing for more information. 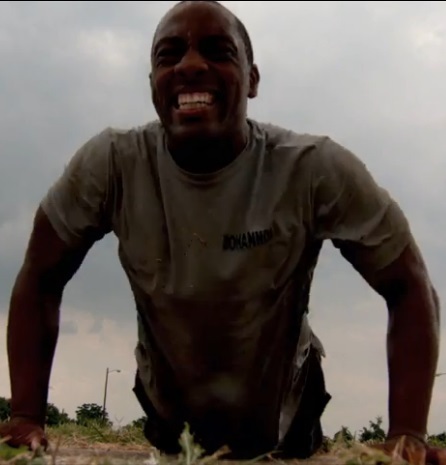 APD and Austin Channel 6 are bringing the experience of the Austin Police Department Cadet Academy to the public in an 9-episode miniseries about the intense trainings cadets must endure in order to become officers with APD. Next week, the Austin City Council is expected to adopt the FY 2013-2014 budget. The Greater Austin Crime Commission is urging the city council to support the police department’s FY 2013–2014 budget request for additional sworn positions. The ninety-two new officers in the proposed budget and the police department’s “unmet service demands” include forty-seven to maintain staffing level standards based on population growth and forty-five toward the recent patrol utilization study recommendations. If you have not already done so, please take the time to communicate with council members and voice your support for additional police manpower. Click here to send an e-mail message to the mayor and council members. Keeping Austin one of the nation’s safest large cities will require determined leadership and difficult budget decisions. Everyone recognizes that resources are limited and tax revenue is unpredictable. However, the need for additional police officers is evident as the city struggles with the demands of rapid growth, increasing property crime, special events, and the threat of transnational narcotics organizations. Another important factor in a city that prides itself on civic engagement is the “uncommitted time” available for officers to participate in community-oriented policing activities, such as crime prevention and neighborhood programs. According to the most recent workload analysis, uncommitted patrol time has dropped to 15 percent and is well below the range (30–45) recommended for effective community policing, which builds trust, creates partnerships, and curbs crime. Thank you for supporting public safety in our community. Please take the time to show your support for the Austin Police Department!